The debate over what happens after 2015 is beginning to heat up. The Rio+20 conference onsustainable development was an attempt to develop an alternative set of Sustainable Development Goals (SDGs), while the formation of a High Level Panel of World Leaders has focussed minds on what might replace the Millennium Development Goals (MDGs). In June the UN System Task Team, established by the Secretary-General to lead the UN’s planning for what happens after the expiry of the MDGs, issued a new report, Realising the Future We Want for All, which builds on the status-quo challenging conclusions of several before it which underline that the way the world does development assistance has to fundamentally change, if it is to be genuinely transformative. From a peacebuilding perspective there is much to welcome in the UN System Task Team report, continuing as it does to build on the conclusions which have been reached by individual donors and the international financial institutions about how best to try to shape approaches to development in some of the most intractable and complex situations in the world. The bald fact that no low income conflict affected country has achieved a single MDG is taken as an indication that business as usual cannot continue. In addition the report places issues of governance, inequalities, violence against women, human rights and the rule of law centre-stage. In fact it sets out the conclusion that any future framework must have at its’ heart the “core values of human rights, equality and sustainability”. 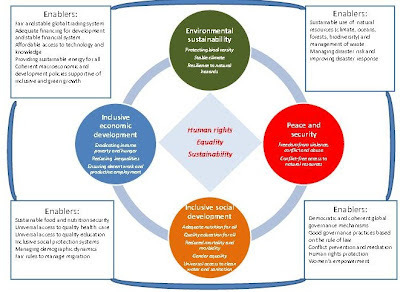 Building on those key values the report proposes a post 2015 framework that is based on “four key dimensions of a holistic approach”, namely inclusive social development, inclusive economic development, environmental sustainability and peace and security. In pursuit of these four dimensions the report sets out a series of “enablers” that the system should use to advance the pursuit of each. So far so good, although as Amy Pollard from Cafod points out, the enablers are sufficiently vague as to be argued over as contenders to be a “dimension” in their own right, and may end up as a means by which everyone’s issues are shoe-horned into what might become an unwieldy final document. So what would the final framework look like to be peace positive? Would it need another goal specifically for security as the ODI recently suggested, or is there something more fundamental than that that needed? I would argue the time for conceptual debates about development and conflict are over, and the questions that remain unanswered are primarily operational. They are not answered by an additional goal called “conflict” or “fragility” but relate to the system as a whole. That the period between 2000-2015 has failed the 1.5 billion people who live in conflict affected and fragile states is not in dispute. 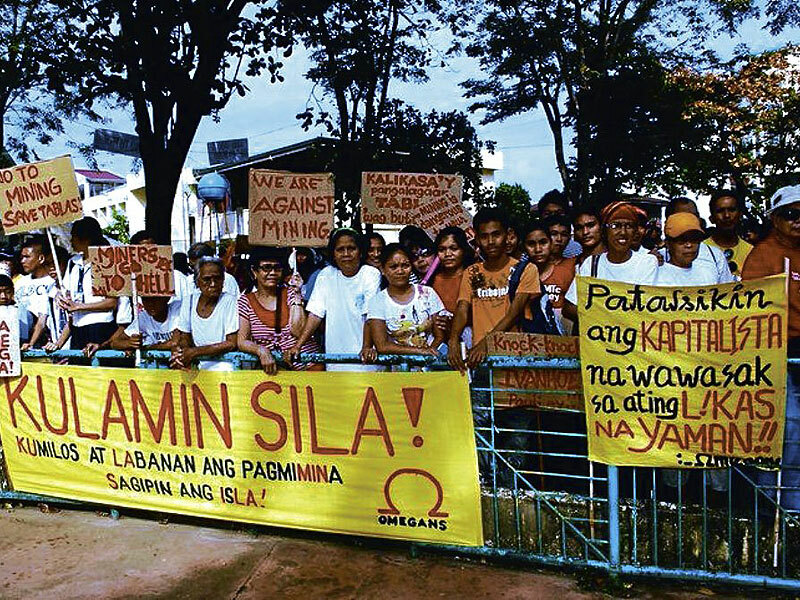 Even the reasons why that is the case are now largely accepted – a lack of focus on awkward issues like governance, accountability and corruption in favour of measuring success solely through GDP growth and other readily quantifiable targets meant that the politics of development was never meaningfully addressed. Leading development NGOs such as Oxfam now argue that a single focus on GDP without considering how equitably that growth is spread is a mistake. And those mistakes meant that the underlying drivers of armed conflict which did and does so much to undermine, stop and reverse progress were never tackled as they needed to be. This was set out in some depth by the World Development Report of 2011. That this conclusion was reached by the World Bank, who’s currency after all is quantifiable targets and economic growth data, was a hugely positive sign. So with those lessons learned and the focus firmly on the operational what do we need to think about? 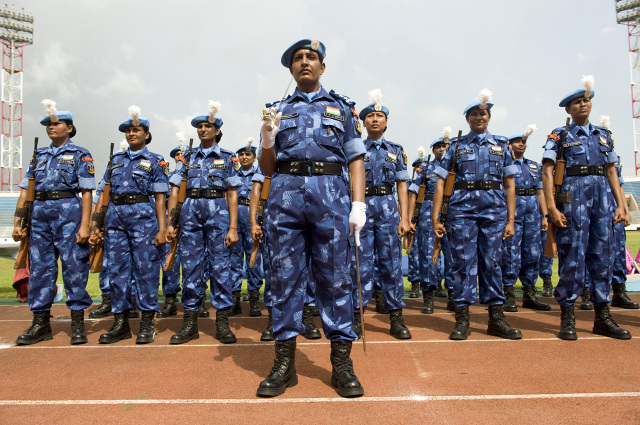 First, and absent from the UN Task Team report, is a focus on how the system itself operates. Agencies too often enter some of the most highly politicised and conflicted areas in the world without the tools to carry out a comprehensive and accurate analysis of the context to guide their actions and at a minimum avoid doing unintentional harm. Getting this right is called being conflict sensitive. In order to be conflict sensitive you need tools to tell you what sort of things to think about. Tools should prompt practitioners to understand the root causes of conflict and the likely conflict-impact of their own actions, and encourage the development of early-warning indicators of how their own activities or those of others may be contributing to greater fragility and risk of violence, so that they can adjust effectively. Such tools, effectively used, should be a minimum pre-requisite to doing development effectively in these areas in future. Secondly, and also absent from the Task Team report, is a focus on legitimacy. The report rightly points to the critical role that local institutions have to play in enabling societies to manage conflict without recourse to violence and sees them as central to both statebuilding and peacebuilding engagements. But what seems to be missing is a focus on the people inside those institutions and how they are viewed by local people. Local institutions that are staffed by people who were formerly engaged in an armed conflict against many in the local population are not likely to succeed. In many cases this includes the local police force. For the same reasons the process that leads to either the creation or the shaping of those institutions needs to have their likely perceived legitimacy factored in as a criteria as important as getting the right people with the right qualifications in to run them. Thirdly the report draws attention to the risk of natural disaster and the need to build resilience in order to respond to them. It’s difficult to argue with that but it is also worth pointing out that societies in conflict are inherently less resilient to such events and overcoming that vulnerability will require context specific planning that takes into account the conflict dynamics as much as the practical arrangements needed to lessen a population’s exposure. What seems to be absent from the Task Team’s report, however, is an acknowledgment that disasters are not only catastrophes that happen overnight, as it were, but are also long-term in nature. The slow onset of climate change has already heightened the risk of conflict in many areas of the world and building resilience both to these non-sudden environmental changes and their implications for human security will need to be part of any holistic response. 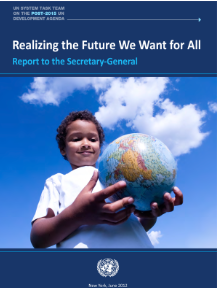 Lastly the report calls for a global framework with timebound targets in order to make it meaningful. It is not difficult to see the logic of this but in terms of operationalising our approach surely we need to learn from the lessons of 2000-2015, which are that globally designed targets pursued at local level without adequate context specificity will fail. Worse still, they may do harm. Therefore while we need a global framework to maintain political attention and momentum, which the Task Team report helpfully sets out in terms of core values and principles, we surely need an operational approach that takes each local context first, and designs interventions accordingly. This includes the allocation of time-bound deadlines. The WDR 2011 found that any post conflict environment needed to look at timescales in generational terms rather than the chunks preferred by financial institutions and most donors, for understandable reasons. You simply cannot build legitimacy and trust sufficient to manage conflict without violence in the space of 5, 10 or even 15 years. That’s a hard sell for donors who have to justify their expenditure to hard-pressed taxpayers back home. But the good news is that if you are measuring the right things you can demonstrate progress, and the idea that by investing over the long term you save greater resources being spent on countries relapsing into violence is not a difficult idea to communicate. In fact, it's easier to explain - and justify - than simply banging on about 0.7% GDP. So – so far so good. The report is out and it marks another welcome advance, and bodes well for the work of the High Level Panel. From a peace perspective the conversation has moved on from the conceptual to the operational. Attention to how the development system itself works on the ground, the extent to which it builds legitimacy, its attention to slow onset challenges to resilience and a longer term vision of progress would do much to ensure the post 2015 approach to development meets the challenges of conflict and fragility which have done so much to hold back progress for the 1.5 billion people who live in the shadow of violence.